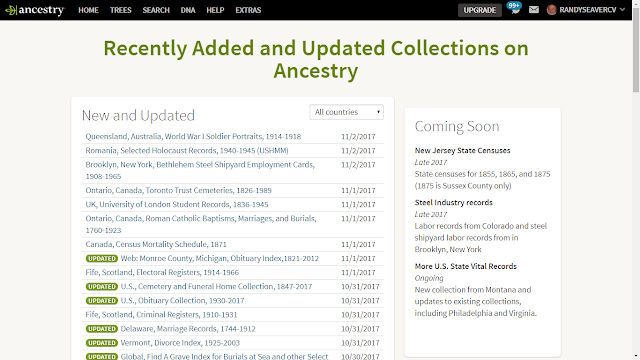 By my count, there were 9 NEW databases ADDED this past week, per the list above. There are now 32,870 databases available as of 4 November, an increase of 0 from last week. 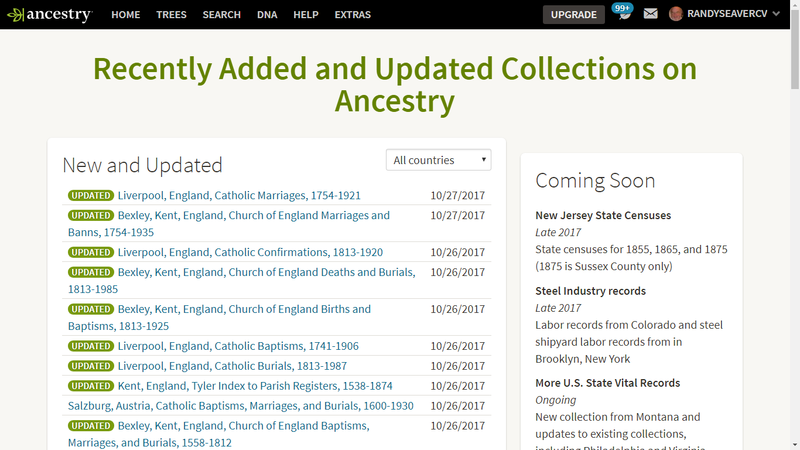 It looks like Ancestry deleted 9 databases last week - which ones were they?